Trinity collects CELL PHONES We collect for the Refuge, a local shelter for battered women. If you would like to recycle your old cell phones or adapters, they can be dropped off in the church office. The phones do not need to be operational. They are only used to dial 911, and may help women escape a dangerous situation. 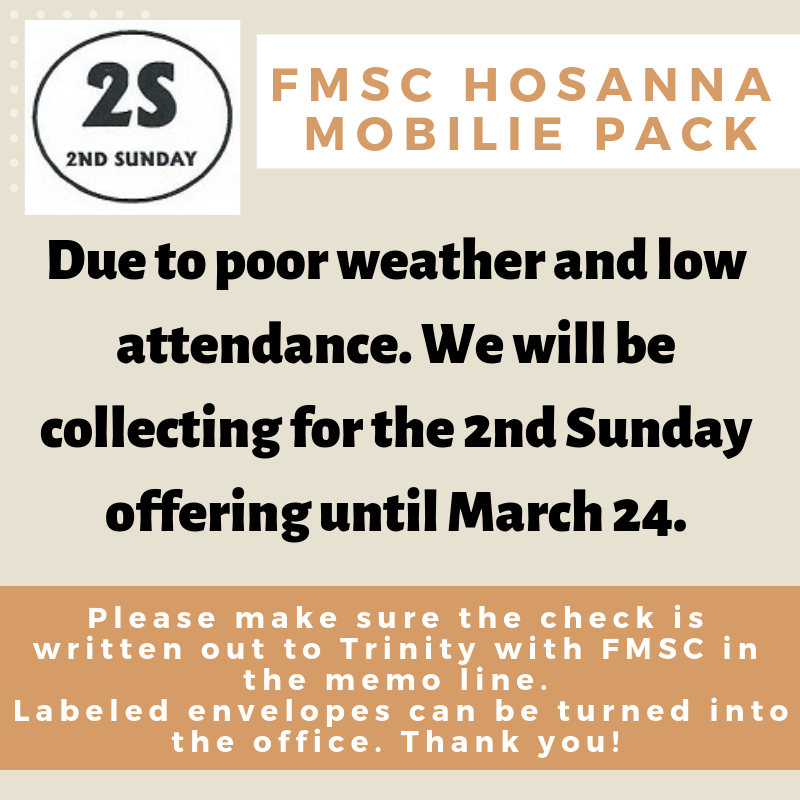 MILITARY PERSONNEL CARD MINISTRY If you have an active service man or woman to whom you would like a card sent, by Trinity’s Card Ministry, each month, please contact the church office. Be sure to include rank and current address. H.E.L.P. - HEALTH EQUIPMENT LENDING PROGRAM Trinity partners with First United Methodist Church in Lindstrom. See brochure H.E.L.P. brochure or call 651-257-4306. SAVE YOUR SOUP+ LABELS to help our local schools: The Chisago Lakes Area Schools could use your help and it won't cost you anything! Just dig through those cupboards and clip Box Tops, Campbell's Soup Labels, Land O'Lakes and Moola Milk Caps, Coke Rewards Points, and Tyson Project A+ Labels. There is a bin in the church office to collect all the labels. The area schools will process and submit the labels for either cash rewards or points to buy items for the schools. 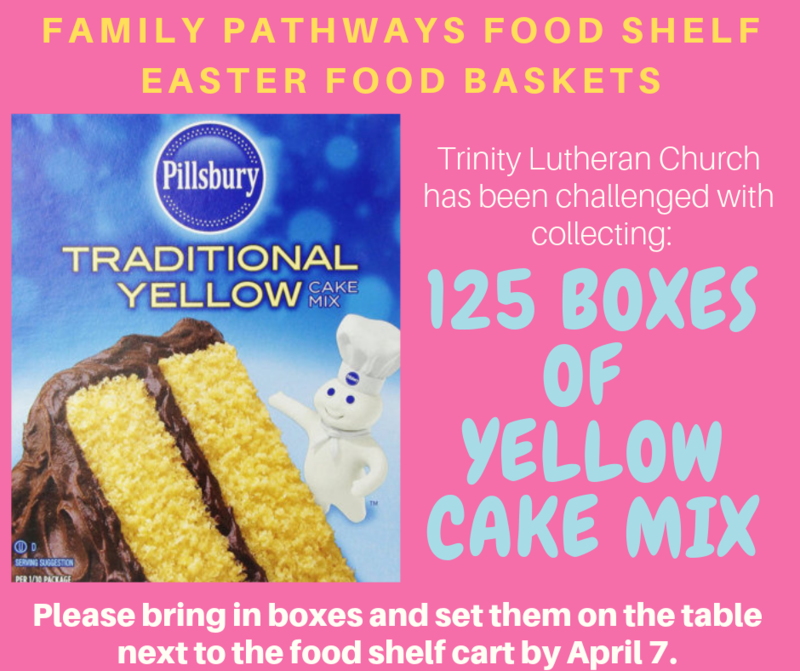 You are invited to consider gifts not only to the local ministry of Trinity Lutheran Church but also gifts that reach out into the wider areas of the Church’s life and ministry. These are suggestions and are by no means a complete listing of memorial gift possibilities. All purchases are to be made with the guidance and approval of Trinity’s church council and others in authority. Plaques are no longer placed on memorial items. Names of persons for whom memorials and other special gifts are given will be acknowledged in The Chimes, Trinity’s monthly newsletter. Open Hands Midway is a Non-profit Organization located in the Hamline-Midway neighborhood of St. Paul. Click the picture below to learn more about Open Hands Midway!